Capricorn Horoscopes are full of ambition and drive! Capricorn is well-grounded and responsible. However, their ambition and drive ensure that they are always striving for bigger and better things. Those with the Sun Sign Capricorn will set a goal and work hard to achieve it. As a reult, they need to be careful not to allow their lack of confidence to stand in their way! So, who is Capricorn? 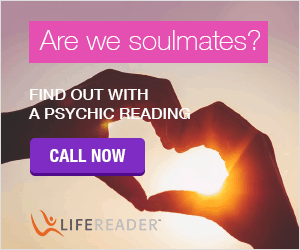 With whom are they compatible? Here you will find everything you need to know about Capricorn and links to Capricorn horoscopes. However, does curiosity find you wanting to learn more about the Capricorn Horoscopes? Learn how to get started plotting a Capricorn birth chart with this book. 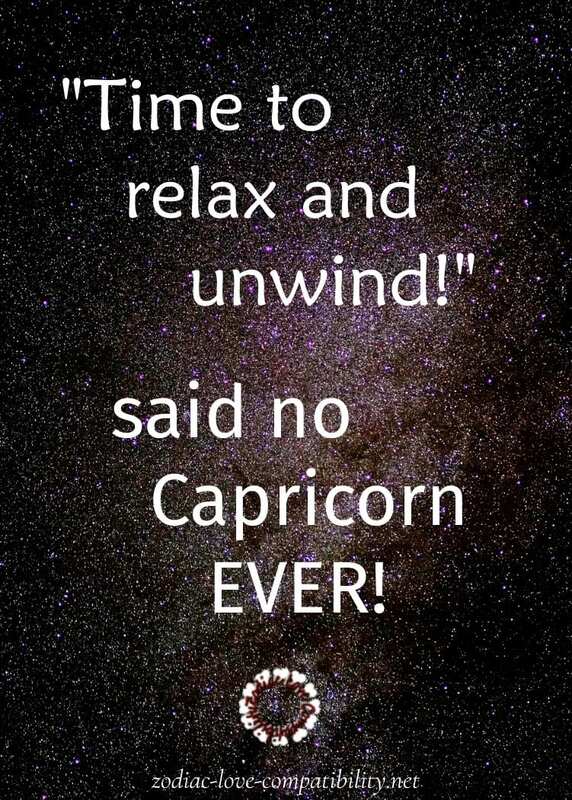 And if you are a Capricorn, we already know you like to take action! This page gives some background to the starsign of Sagittarius and the Sagittarius Horoscopes for 2019 can be found further down the page. Stop! Are you sure the Sun Sign is Capricorn? Born on the Cusp of Capricorn? Those born on the day the Sun moved into the next sign are referred to as being “born on the cusp”. For instance in the year I was born the sun moved from Taurus into the next star sign of Gemini, just two hours before my birth. As a result I was born on the Cusp of Taurus and Gemini. Is the sunsign definitely Capricorn? Or is it really Sagittarius or Aquarius? Capricorn is the tenth Sign of the Zodiac and its symbol (or glyph) represents the Seagoat. It has the body of a horned goat and the tail of a fish. In Western Astrology, Capricorn is considered a “feminine”, negative and introvert sign along with the other five even-numbered signs of the Zodiac: Taurus, Virgo, Cancer, Scorpio and Pisces. 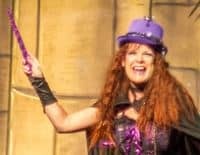 The spotlight is on you Capricorn! Capricorn lies in the area of the sky called The Sea and is a very small, dimly lit constellation. The planet Neptune lies within Capricorn. The symbol of Capricorn is the Seagoat, a hybrid of mountain goat on the top and fish tail on the bottom. There are confusing and conflicting stories in the mythology behind the Capricorn constellation. However, the most well known story involves the giant Kronos from Greek mythology, known as the Father-God of all the other Gods. Legend says that Kronos was worried he would be challenged by his children, the same way he defeated his own father. In order to prevent this, he ate each of his children born to him through Rhea as a result. These children included Hestia, Demeter, Hades, Poseidon and Hera, all well-known in Greek mythology. When Kronos fathered Zeus, Rhea hid him in a cave to be raised by goat-herders who nursed him with goat’s milk. In another version of the story, Zeus was actually raised by a goat named Amalthea. Zeus grew to become the legendary God of thunder and lightning. He freed his siblings by demanding his father to expel them from his belly. Later, it is said that he immortalized Amalthea the goat by placing her among the stars as the constellation of Capricorn. Another version, which explains the Capricorn symbol better, is the story of the God Pan. The legend says that he was the goat God who morphed into a fish after jumping into the sea to avoid being assaulted by Typhon. As a result the part of Pan’s body that was below water became a fish, while the top half remained goat. Capricorn is ruled by the Planet Saturn. In mythology, Saturn is known as the god Kronos, father of Zeus (see The Story of Capricorn the Sea Goat above). Those ruled by Saturn tend to be authoritative, disciplined, responsible, goal-oriented and ambitious. Saturn is said to lead Capricorns to the achievement of their goals and aspirations. Are you in Love with a Capricorn Man or a Capricorn Woman? 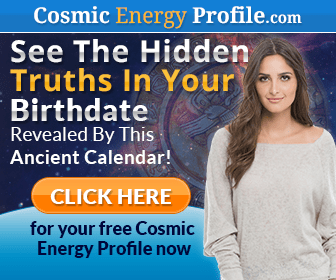 5 Reasons Why Capricorn Men Disappear & How To Stop Them! How to Win a Capricorn Man Back After He Has Dumped You! How to Catch a Capricorn Man! Capricorn Compatibility Chart – Which Starsign is the Best Match for Capricorn? Do you have anything in common with these Capricorn Celebrities? This 2019 Planner for Capricorn is written by two of my favourite astrologers. It will help hard-working Capricorn get the best out of 2019! Capricorn is an Earth Sign. 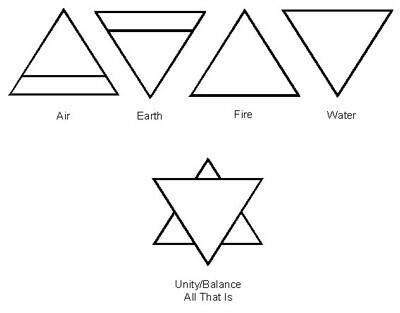 The Zodiac is divided into four Elements: Earth, Air, Fire and Water. 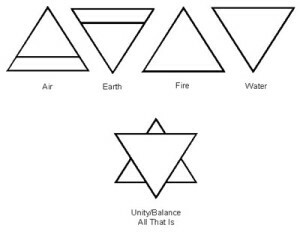 The Elements represent the four basic modes of being. Signs that share an Element are generally thought to be in harmony with one another. The Element of Capricorn is “Earth” which it shares with Taurus and Virgo. As a result these sun signs are usually compatible with each other. The Element of Earth symbolizes groundedness and stability However, it can cause Capricorn to work too hard and focus too much on material possessions. The signs of the Zodiac are also divided into Qualities: Cardinal, Fixed and Mutable. Signs that share a Quality are known to be hostile to one another. The Quality refers to an individual’s ingrained temperament. This means that they will have unique and prevailing identifying characteristics that remain the same throughout their life. Each of the four Qualities sees the world around them in a different way and their reactions to their environment vary so that any resulting action will also be different. Cardinal signs stand for action and initiative. Capricorns tend to be go-getters and workaholics, focusing on achieving worldly success and material wealth. Capricorn (Earth) shares the Cardinal Quality with Aries (Fire), Libra (Air) and Cancer (Water). Capricorns are ambitious, hard-working and usually achieve their goals. They are excellent to work with because they take initiative and get the job done as a result. The Sea-Goat is disciplined and grounded. As a partner, they will bring stability to work and personal relationships. Capricorns have a great, albeit reserved, sense of humor and are very likeable in social situations. What’s not to like about Capricorn? Capricorn’s drive and ambition can quickly turn them into work-a-holics. As a result they can put a strain on friendships and love relationships. They can have a fatalistic view of the world and are prone to bouts of depression. Those born under the sign of Capricorn can be short on confidence. This means that it can cause them to easily be defensive when they feel someone is being critical of them or their work. Each sign of the Zodiac has tendencies to specific health problems and weaknesses. Interestingly, Capricorns tend to age well and maintain their youth into the later years of their life. They are known for their longevity and vitality. However, they do have weaknesses in their bones, specifically in the knee area. They are prone to accidents and injuries of the limbs, especially the lower leg from the knee down. Sprains, dislocations and broken bones are not uncommon in Capricorns. Those with the Sun Sign of Capricorn are also likely to have emotional issues, such as stress, anxiety and depression. They can also be more likely to suffer from allergies and skin sensitivities. Have you been left wondering why Capricorn Men disappear? how to get your Capricorn Ex back! Intelligent Capricorn Man has a lot of self-discipline. Unlike Gemini, he does not flit around from project to project and will never leave a task unfinished. That is unless he decides that his current project does not have any chance of succeeding! The ruling planet of Capricorn is Saturn. This means that Capricorns require more certainty and security than the other Earth signs (Taurus and Virgo). It may not look like it on the surface. However, underneath that sometimes serious exterior all a Capricorn wants is close companionship and to have someone to love. As far as romance is concerned, Capricorn has difficulty opening up. Therefore his ability to establish true intimacy with another human being is hindered. Capricorns can be the human equivalent of a truth drug. If Capricorn Man thinks you have been dishonest, then they will work away at you. They will keep on until you can’t help but tell them what they want to know. Having been married to a Capricorn, I can confirm that this is so true! At times I felt I was being grilled by the Spanish Inquisition!! If he finds out, or even thinks, a woman has not been entirely honest with him, then Capricorn Man will pull away. No way will he consider a long-term relationship with anyone he believes has been dishonest with him. 2. 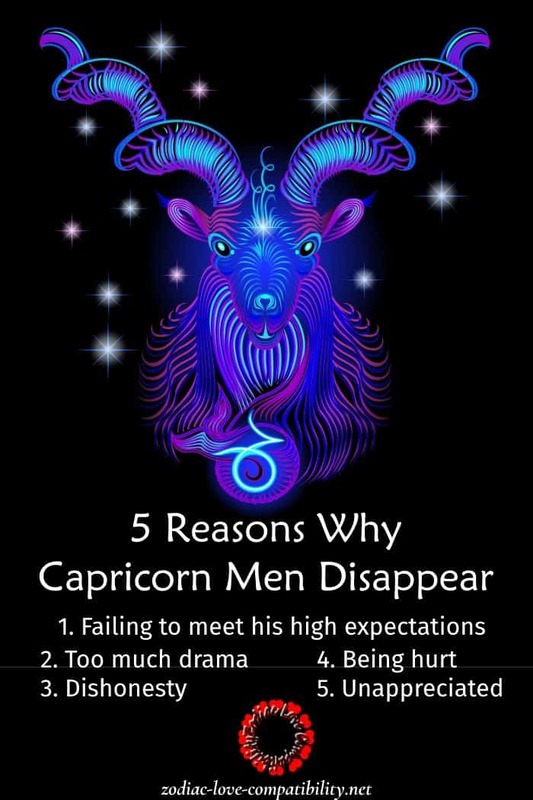 Why Capricorn Men disappear? Too much drama and emotion! Most men I know don’t like expressing their emotions and Capricorn Men find it particularly hard to open up. Am I an emotional person? Do I let my emotions get out of control sometimes? Will I make a drama out of a crisis? Do I brew storms in teacups? To be honest, as a Gemini, I can get pretty emotional, even more so when I was younger. Knowing what I know now about Capricorns, I am sure my Sea Goat found it very hard to deal with my emotional side. He just closed down and appeared selfish and uncaring. You can find out more about the pairing of Capricorn and Gemini on my page about Capricorn Compatibility. Capricorn Man sets very high standards for himself as well as those close to him. He works hard. Capricorns are the workaholics of the Zodiac. This means that if he thinks you are a slacker and don’t share these ideals, then the relationship will be over before it has really started. A major Capricorn Man personality trait is that they really need recognition every so often. Failing to feel appreciated by their girlfriend can make sure that her Capricorn Man disappears for weeks, perhaps forever. However, at times it will seem that what he really wants is his own personal Cheerleader. Once Capricorn Man is hurt by someone, he will do his utmost to ensure that it never happens again. Capricorns can often be ruled by logic. Therefore, if he has been hurt by a woman once, he will be very careful about not sharing his inner feelings and emotions with any future partner he may have. Providing you are patient with him, he will come around eventually. However, hurt Capricorn Man and the goat will canter off into the sunset. Do Capricorn Men come back? There’s no guarantees that a Capricorn man will come back. However, the more you learn about him, the more likely you are to get him back! Do you both want to try again? Can you become a team, working together at the relationship? If you say you will do something, can you do it? Can you stand your ground if you disagree with him? How about staying positive when he is on a “downer”? Can you give him the space he needs at times? Use what you know about Capricorn personality traits, together with some great relationship advice to get your Capricorn Ex boyfriend back. Learn how to win a Capricorn Man Back and how to make a Capricorn Man miss you. It could be easier than you think! Have you been dumped by a Capricorn Man? getting your Capricorn Ex back! Will Capricorn Man come back after a break-up? YES, providing the right approach is taken!! 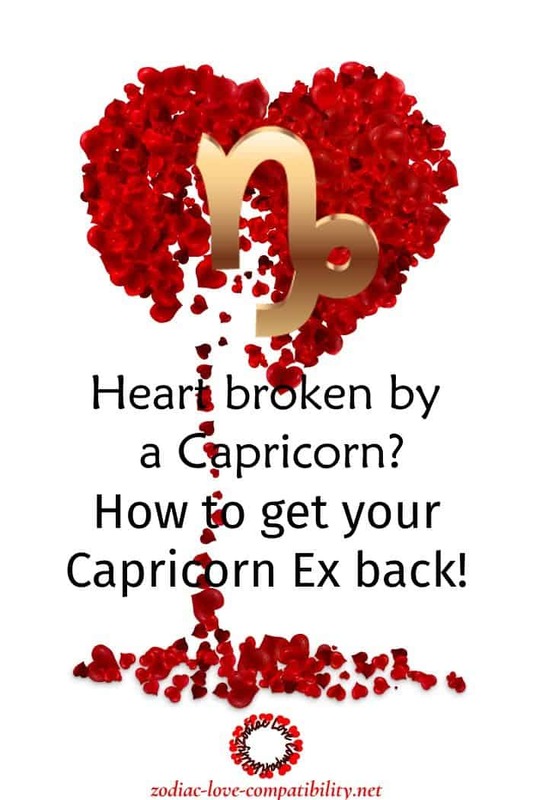 Are you wondering “will my Capricorn Man come back?” Are you desperate to learn how to get your Ex back? 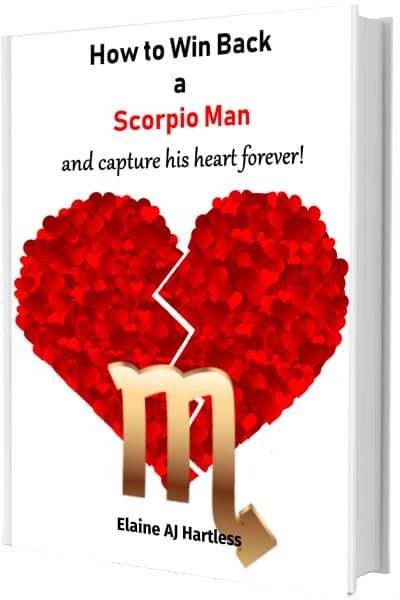 Read on to discover more about the Capricorn Man in relationships. There’s also links to more detailed information that will help if a Capricorn Man has dumped you. Why do Capricorn Men Leave? I get asked so many questions about the compatibility of the Signs of the Zodiac. However, I am also contacted by women who thought they had made a brilliant zodiac match, only to suffer heartbreak due to breaking up with a Capricorn Man. Therefore, understanding the Capricorn Man personality traits is crucial. This means that it will be easier to learn what to do if a Capricorn Man has dumped you. However, before you can even start to think about how to win a Capricorn Man back, it is essential to figure out what went wrong and work out why Capricorn Men leave. Only then will you be ready to try and get your Capricorn Ex Boyfriend back! NEED HELP RIGHT THIS MINUTE?? There are many reasons why relationships end. However, while there is nothing worse than being dumped by a partner, it is made worse by not being able to figure out why! Gaining an understanding about Astrology and the different relationship needs of each Zodiac Sign, will make it easier to figure out what went wrong. This means that you will be better informed about how to win a Capricorn Man back. Sadly, while this information is important to know before and during a relationship, too many find out too late after the Capricorn Man has left. Once the things that really upset and annoy him are clear, then it is easier to set about learning how to win a Capricorn Man back. 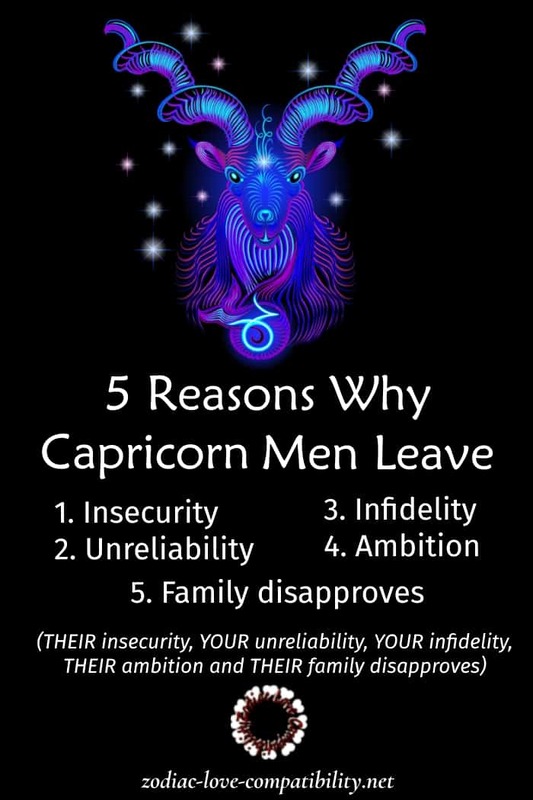 When a Capricorn Man leaves, it is usually for one or more of the following reasons. Capricorn Man craves security in his life. This means that insecurity makes him feel vulnerable, which is an uncomfortable feeling for someone who needs to feel in control. However, if the insecurity in his mind gets a grip, then the Capricorn would rather leave first rather than ending up looking like a fool. If he even suspects his lady is about to leave him, then the Sea-Goat will scarper. This means that, in his mind, he is retaining control. 2) Were you unreliable or kept letting him down? It is important to Capricorns that they are seen by others as reliable, responsible and punctual. While at the same time he expects the same of those close to him. This means that Capricorn Man hates to be let down and will see it as disrespect towards him and the things that are important to him. The majority of Capricorns have strong ties with their family and their opinions matter to him. However, you could both be living in Nepal, while the family lives in New York, but the distance will not help. If the family is unable to approve of the relationship, then it could be doomed before it has really started. 4) Capricorn Man will leave if he thinks his relationship is holding him back professionally! Yep, that still happens these days. Capricorns are the workaholics of the Zodiac. This means that they are dedicated to achieving their goals, often at the expense of family life. If his partner constantly complains that they rarely spend any “quality time” together, Capricorn will see that as an attempt to hold him back. I can personally attest to that. I am a Gemini, was married to a Capricorn (note – was) and he became particularly angry with me one day. The reason? He asked for a list of all my friends at my Tennis Club. He was a Financial Advisor and he wanted to try to sell to my friends! I responded that no way was I going to allow him to cold call my friends. He accused me of failing to support him in his career. We separated soon after. However, because we were so incompatible, I was not interested in learning how to get my Capricorn Man back! Very relevant, is that when a Capricorn Man is hurt he is very unlikely to just let it go and this especially goes for cheating. This means that a lot of soul searching is required to look a lot deeper as to why your Capricorn Man broke up with you, before starting to consider what to do to try to repair the relationship. Did you miss the signs a Capricorn Man wants to break up? In order to best understand why things went wrong, be totally honest with yourself. However, there’s no point in trying to learn how to get a Capricorn Man back, if the mistakes made are ignored or not addressed. Maybe he started to become withdrawn? When a Capricorn Man is acting distant and stops making plans with his partner, this is a sure sign he has had enough of her unreliability. Did he start to doubt your true feelings for him? Was the relationship with his family difficult? Did he worry about what they thought? 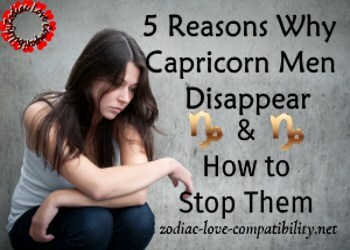 Related post: 5 Reasons Why Capricorn Men Disappear – and How to Stop Them! Do Capricorns Ever Come Back? 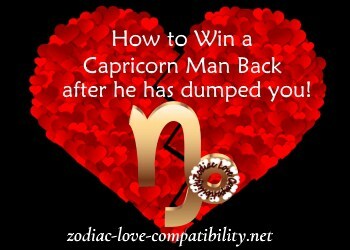 Now you know the main reasons why Capricorn Man leaves, the work on how to get a Capricorn Man back can start! Will a Capricorn Man come back? Hmmmm…….If the fault was yours, then you need to learn how to apologize to a Capricorn Man. However, if the apology is accepted he will also need convincing that the problems won’t happen again. When a Capricorn Man is done with you, there may still be hope that you can get him back, especially now that you know more about the reasons why he left you in the first place. Capricorn men are far more logical than they are emotional. This means that sitting down and discussing compromises that may be needed won’t faze him. If you were jealous of the time he spent working, maybe it’s possible to negotiate how many hours a day he spends in the office. Of course allowances will have to be made for the times when he can’t stick to the agreement. And in turn, your Capricorn Man will have to be honest and realistic about what is genuinely urgent and what is not. Develop an Action Plan about how obstacles are going to be overcome moving forward. 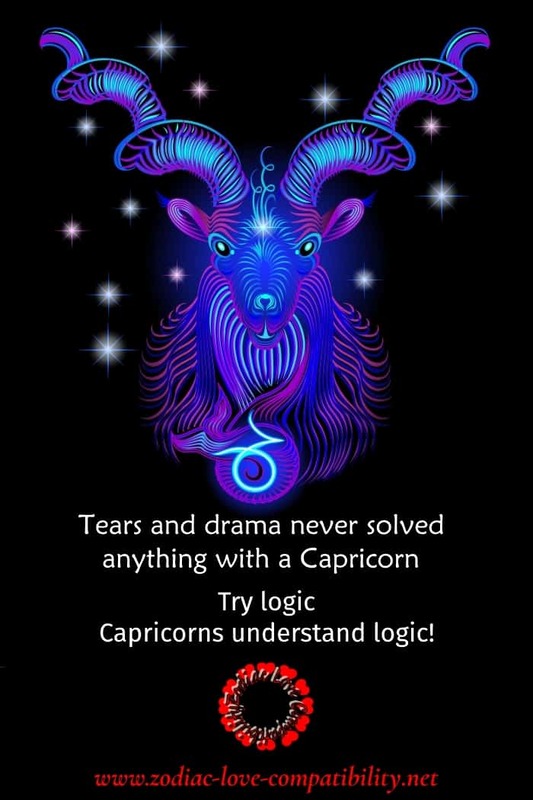 This will appeal to logical and organised Capricorn. When you say you are going to do something, then just DO it! As has already been said, Capricorns regard unreliability as disrespectful. This means accepting that becoming more organised may be needed. Capricorn is one of the least emotional signs of the Zodiac. They prefer to resolve problems through plain logic. This means that if you are tearful and pleading when you approach the issue of getting back together, then it is more likely your Capricorn Ex will be driven even further away. Are you ready to learn more about how to win a Capricorn Man back? can’t get him out of your head. He might not be with you now, but you still love him. Which is why you are here! Are you wondering how to catch a Capricorn Man and make him totally yours? 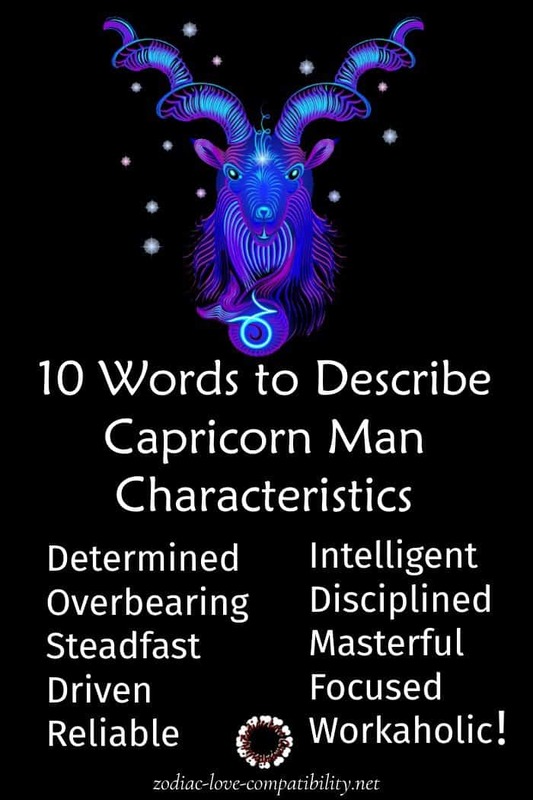 Capricorn Man is steadfast, reliable, driven to overcome obstacles, disciplined and intelligent! He is also competitive and has a compelling need to be successful at everything he does. However, Capricorn Man has trouble letting his guard down with anyone trying to get close to him. This can act as an obstacle for anyone interested in pursuing a relationship with him. Learn about the unique Capricorn personality. Do you struggle with his inability to let his guard down? Is he sulky and brooding at times? Are you finding it difficult to understand that he is often a workaholic? Do you find him too cautious at times? 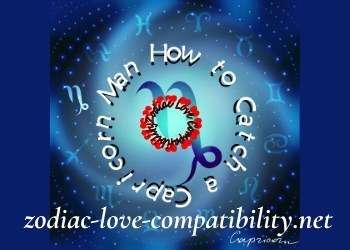 Read on to find out how to make a Capricorn Man fall in love. Time to be upfront and honest here! If you are looking for a demonstrative, extrovert with whom to spend the rest of your life, then you won’t find it with a Capricorn!! WOULD YOU LIKE TO KNOW HOW TO CATCH A CAPRICORN MAN? Do you want to give it a go and find out what it’s like to date a Capricorn Man? However, first let me tell you about my own personal experience with a Capricorn Man. My first husband was a Capricorn. However, after a few years, it was quite obvious that he was never going to be truly compatible with this extrovert, lively Gemini. However, I can now see how it all went wrong! Following that experience, I then steered clear of Capricorn Men. However, having said that quite a few of my friends are Capricorns! How to Keep a Capricorn Man Interested? Capricorn Man will be looking for a partner who is totally honest, genuine and hardworking. This is because Capricorns themselves are one of the hardest working signs of the Zodiac. He will need you to understand that work and success are VERY important to him. But at the same time, if you can get though his “armour” you will discover that Capricorns like to let their hair down (occasionally) and can be quite funny. Don’t ever be tempted to hide the truth from a Capricorn. Out and out honesty is hugely important to them and you don’t want to have to learn how to deal with an angry Capricorn! Because they are so driven by their need for success in the workplace, Capricorns can make their partners feel unappreciated and side-lined. This is something else their would-be lovers have to learn to deal with. Remember Capricorns are masters at hiding their feelings and emotions. If you are finding it hard to read your Capricorn Man this does NOT necessarily mean that he does not like you! The star sign of Capricorn is ruled by Saturn. Saturn does not regard emotions as important. Therefore, do not worry if you cannot understand a Capricorn Man’s emotions because he probably does not understand them himself! One way to keep the relationship going is for you to accept that your Capricorn Man will NEVER be able to explain what is going on with his inner emotions. However, there is a silver lining to this cloud. Work at accepting your Capricorn Man for who he is and learn to deal with the negative aspects of his personality without making a big deal of it. He then may, just may, allow you to connect with him at a deeper level. Then you will see the more passionate side of the Capricorn personality. Work, accomplishment and achievement make Capricorn Man happy. However, in his relationships, even if you use the tips in this article, he shares a need with all men, no matter their star sign. It’s a fact that men fall for certain women because of how good the women make them feel about themselves! And it is so much easier to make men feel good about themselves than you think. Yes really! I can also guarantee that the answer will shock you! How to catch a Capricorn Man? YOU NEED TO MAKE HIM FEEL LIKE A HERO! Are you a Capricorn in love? Are you in love with a Capricorn? What do the stars have in store for you? Capricorn men and women may start out in life a little slow, but give them some time and their drive and ambition will change your mind about them. Hard-working and dedicated to success, Capricorn will often shoot to the top in their career choice and become financially secure. Although they enjoy the finer things, they tend to be conservative in money matters and in other areas of their life. They will carefully consider an investment or conquest from every angle before pursuing it. If Capricorn seems to be too reserved at first, rest assured they only get better with time. The lover who has patience and can ride out the early years will be richly rewarded by a relationship that is strong, committed and improves every day. The best is yet to come! The Capricorn man is extremely driven and will rise to the top in all areas of his life. He is likely to be materially wealthy and successful in whatever vocation he has chosen. His main focus will be on his career and his ambition and “go-getter” attitude will guarantee his success. Although he is career-focused, he is also a hard worker in play and in love. His name and the word “lazy” will never be in the same sentence. Capricorn will not jump into a relationship. There will likely be a courting period that feels a bit like a job interview. This might sound tedious and unromantic, but the woman who can stay the course will be richly rewarded. It takes him some time to find the right partner and fall in love, but when he does, he will put his heart and soul into making it work. Like the Capricorn woman, this man will only grow better with age. He will learn from life’s experiences and mistakes, applying his knowledge to new endeavors and relationships. He is continually looking to improve himself and his existence, which is certain to spill over to the lucky lady in his life! 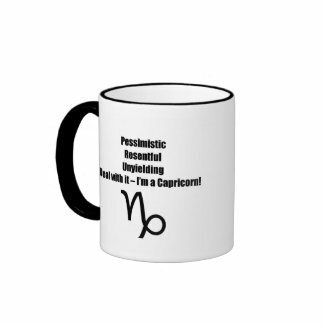 The Capricorn woman is ambitious and hard-working. She is driven to achieve her goals in life and will align herself with people she feels can help her along her way to success. The female Capricorn gets better in all areas of her life as time goes on, including in her relationships. It takes some time for her to figure out what works, but when she finally finds the right path, she will pursue it with a strong passion. She eventually becomes successful in anything she sets out to do. 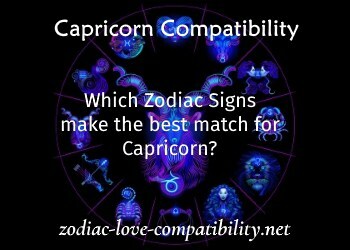 What is Capricorn looking for in a love partner? She will fall for a man who is hard-working and can match her ambition. She will never waste her time on someone who is lazy and unmotivated. Physical looks are low on her list of desirable qualities. Although she may be analytical and cautious, she will work hard on her relationship and she will be devoted and loyal to her partner. If she is comfortable with her body, she will be a very passionate and exciting lover. Give her time…with Capricorn, things truly get better with age and her later years will be her best! Which star signs make the best match for Capricorn? Capricorns are well matched with Taurus, Cancer, Virgo, Scorpio, Capricorn and Pisces. Capricorn and Taurus make the perfect coupling in work, friendship and love. They share a hard-working mentality and are driven to success. Money will not be an issue, although financially conservative Capricorn may need to reign in Taurus’ tendency to spend money freely. Capricorn and Cancer share the same traditional values and are family-oriented, but they can have a very passionate love life. They both tend to be hard workers and will focus on a relationship to make it the best it can be. Long-term love is likely between these two. Capricorn and Virgo understand each other deeply and communicate well together. Their deep bond will keep them fighting for each other through good and bad. They will form a strong dedication to each other and are sure to have a thriving and enviable love life. Capricorn and Scorpio share a strong chemistry and their sexual intimacy will be the glue that holds the relationship together. As long as Scorpio doesn’t play games and keep secrets from Capricorn, this is likely to be a passionate, exciting relationship that can stand the test of time. Capricorn and Capricorn will be two peas in a pod. They will join together to form a powerhouse relationship and should find success in love, family and careers. They will most likely be wealthy, but their conservative natures and charitable tendencies will keep them grounded. Capricorn and Pisces will be very sexually attracted to each other. Although they are opposites, their differences are compatible and they will thrive off of each other, making them strong individually and as a couple. Caprocorns should avoid relationships with Aries, Libra, Leo, Gemini, Sagittarius and Aquarius. Capricorn and Aries are very much opposites. Aries will seem too pushy for Capricorn and Capricorn will be too reserved for Aries. They might share a few fun dates, but a lasting relationship is unlikely. 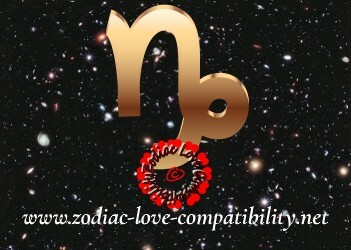 Capricorn and Libra will have different focuses in life which will make this a difficult love match. Capricorn will tend to focus on career goals and success, while Libra will put all attention on Capricorn and their relationship. This will cause frustration and insecurity. Capricorn and Leo will find it difficult to maintain a lasting relationship. They are very similar in some ways, but they do not complement each other. They both need respect and validation that the other won’t be able to give, making it hard to form a deep bond. Capricorn and Gemini will initially be physically attracted to each other and may enjoy a short-lived, passionate relationship. However, with time Gemini will become bored with Capricorn’s conservative nature, while Capricorn will become tired of trying to reign in Gemini’s wild ways. Capricorn and Sagittarius do not make a good love match. While Capricorn is focusing on becoming a success, Sagittarius will be off searching for a new, exciting endeavor. The distance between them will be too much and it is likely bridges will burned before they can reconcile their differences. Capricorn and Aquarius tend to make better friends than lovers. 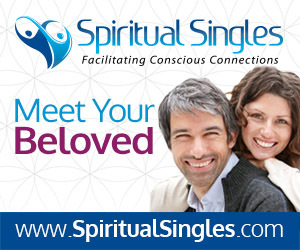 They will share fun and laughter, but a love relationship will be too challenging. Conservative Capricorn will feel threatened by free-spirited Aquarius. Hard feelings and jealousy will likely tear these two apart. A ballgame followed by a dinner at the local diner most likely won’t impress ambitious Capricorn. This sign of the Zodiac loves the finer things in life and tends to have expensive tastes. If you want to impress, take Capricorn to an exclusive restaurant or wine-tasting. They will love browsing art museums or attending the opera. If your Capricorn has a hint of an adventurous side, a sailing experience might be just the right mixture of refinement and excitement.